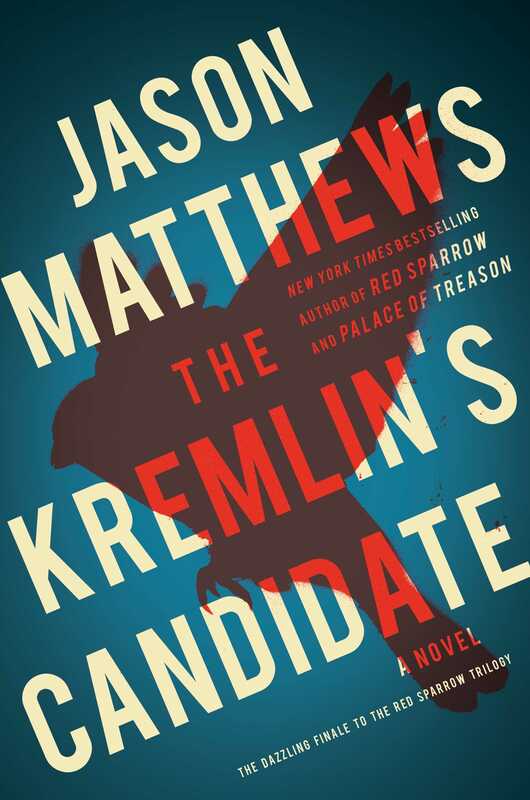 By recently gobbling up Jason Matthew’s long-awaited new release The Kremlin’s Candidate, I finally finished his fascinating Red Sparrow trilogy: a spy novel trifecta focused on an intelligent, beautiful Russian double agent and her American CIA handler. While I had a few issues with this recent book, I can still recommend it highly for those who have enjoyed his previous works. 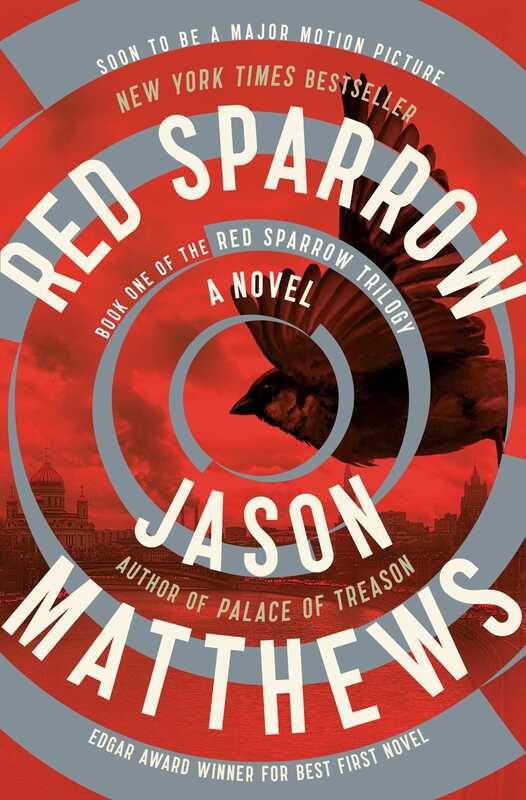 Matthew’s newest spy thriller follows Red Sparrow, which won the Edgar Award for Best First Novel, and its successor, Palace of Treason. In the first novel Nate Nash, a young CIA officer making his bones in Moscow, Finland, and other CIA stations, is tasked by his superiors with recruiting a Russian foreign intelligence (SVR) agent, Dominika Egorova. Egorova, a talented former ballet dancer, has gone into Russia’s secret service, the SVR. Physically lovely, she is forcibly sent off to Sparrow School, where she must learn how to seduce and manipulate SVR targets sexually, compromising and extracting information from them. Gifted with a superb memory and synesthesia, an ability to see music, feelings, and others’ psyches in the form of colored halos, Dominika has the potential to rise high in a male-dominated service where guessing others’ intentions is crucial to survival. In Finland she is sent to meet Nate Nash, the talented young agent fluent in Russian. They play games as each tries to recruit the other as a double agent. Disgusted by the roles she is forced to play, Dominika decides to do her part to bring down the corrupt SVR, military, and internal security bureaucrats surrounding the Putin regime by working for the Americans. In the process she and Nash fall in love against all the rules of his agency and colleagues. 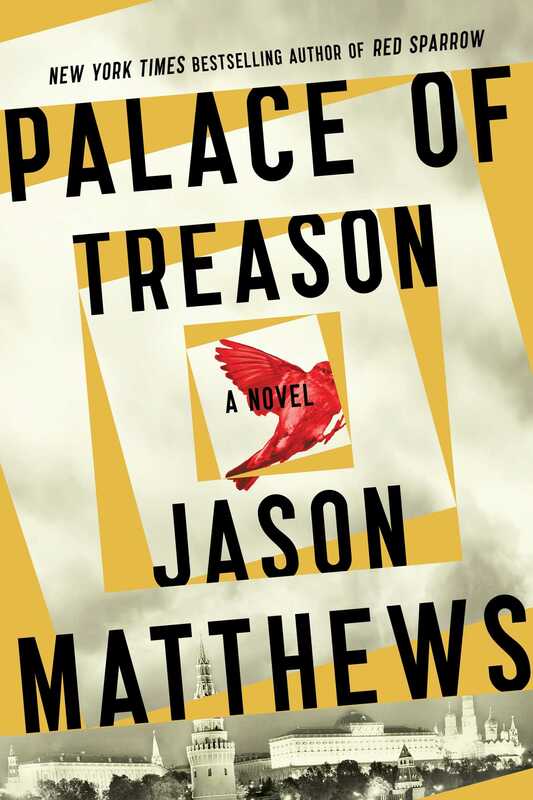 In The Kremlin’s Candidate, Matthews picks up the story continued in Palace of Treason. Dominika has skillfully risen through the ranks to become an SVR colonel, playing the dangerous game of feeding intelligence to the Americans while avoiding being detected by her own service. In discovering the presence of a Russian mole code-named MAGNIT, she and her handlers are in a race to find this American double agent who, as a potential candidate for Director of the CIA, might secretly betray Dominika to the Russian government when confirmed by Congress. From Red Sparrow onwards to this novel, Matthews, a former CIA officer and Chief of Station in multiple countries, has written three captivating thrillers with serious characters who utter occasional funny, earthy asides to break the tension. His portrayal of the conflicts between Nash’s colorful colleagues and their use of CIA tradecraft makes me wonder how he even got his novels past CIA censors. In any case, both are to the reader’s benefit. His detailed plots move very quickly and provide riveting armchair travel. As usual with Matthews, the characters, their handlers, and various international spies play dangerous games across global borders, with a cacophony of foreign intelligence agencies such as the CIA, SVR, Chinese MSS, and Australian ASIS clashing and forming alliances during operations. He also offers an inside peek at the bureaucracy inside the CIA and the SVR, with a scathing look at the current state of Russian politics as embodied by a hierarchy of Kremlin intrigues and the enigmatic, dangerous President Vladimir Putin. Through Dominika’s rise up the ladders of power, she is enticed into increasingly frequent interactions with the President. One can imagine from reading about Russian-American events of the past two years that Matthews’ observations might even be more astute than he knows. All that being said, I have a few caveats about this last work. The Kremlin’s Candidate, unlike the first two in the series, could have benefited from fewer subplots and more stringent editing. In addition, Matthews exhausts a few character tropes from his previous novels. While spy novels are not generally known for their detailed character development, I still find repeated versions of uber–villain Russian underlings, steamy seductresses, and sexually erratic shrews tedious. His portrayal of Putin shows more subtlety in describing the Russian president’s subtle political machinations and penchant for spreading violence and mayhem overseas. I was not thrilled with the ending of this book, however, and found it anticlimactic. It seemed that Matthews knew he had to tie together plots and characters to finish the novels, but was not sure how to do that best. Regardless, if you enjoy sharply written thrillers, reading about contemporary Russian politics and history, or an inside look at the politics inside foreign intelligence services, I’d recommend the Red Sparrow trilogy highly. These works are much better written and more detailed than most others in the genre. If you go to see the new film Red Sparrow starring Jennifer Lawrence, please read the story first. Remember, the book is always better than the movie!